Youtubers filling arenas and pulling nearly a million live viewers for events like this are game changers. I’m trying to wrap my brain around this still. Youtubers calling each other out to boxing matches and doing what some boxing promoters have been unable to do in a lifetime will continue to change the game. 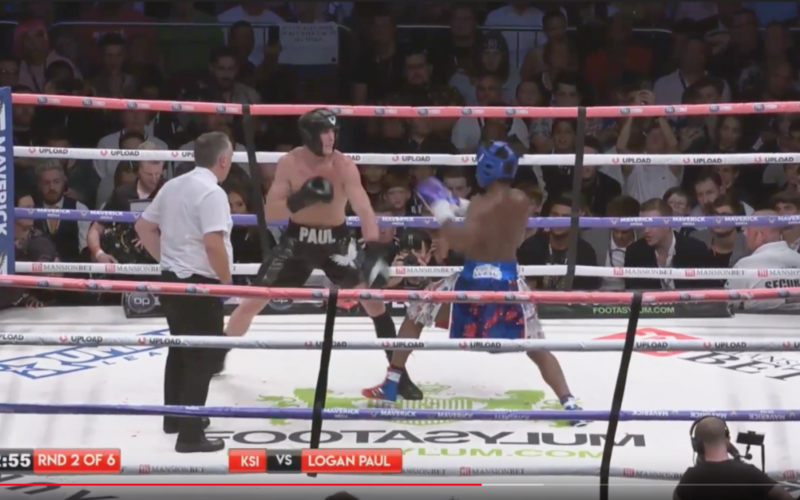 “The amateur boxing match between YouTube stars KSI (UK) and Logan Paul (USA) on August 25 could amass more than 20m views, if previous events are anything to go by. That’s more than watched the finals of the FA Cup, or Wimbledon. This is big news and big business. With pay-per-view on YouTube priced at £7.50 a pop and tickets at the Manchester Arena going for anywhere between £34 and £516 – not to mention the profits from merchandise and sponsorship deals – this event will make millions for both competitors, regardless of who wins and loses. Events such as this position YouTube as a major provider of high production-value content that speaks directly to its audience. For example, YouTube reaches 98.3% of Internet users in the age bracket 18 to 24 – a feat which today’s TV networks are still working hard to replicate.